It adds 16 additional Triggers/Gates to the NerdSEQ. The triggers feature all functions of the local triggers. 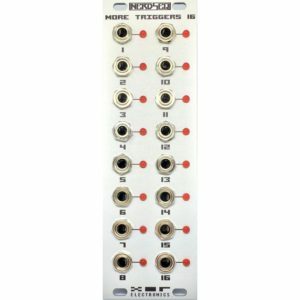 Next to the IO-Expander there can be up to 4 additional expanders connected to the NerdSEQ. This is no standalone product! It works only together with the NerdSEQ. The Trigger expander will be delivered with a ribbon cable for the interconnection.